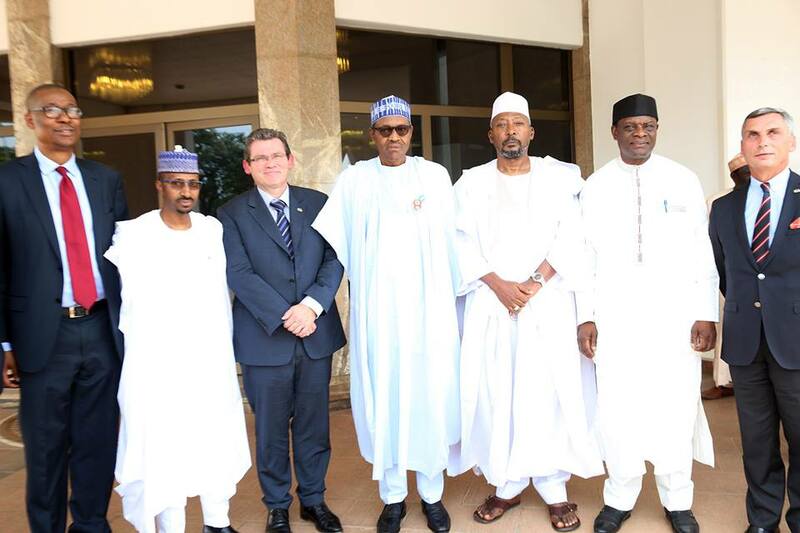 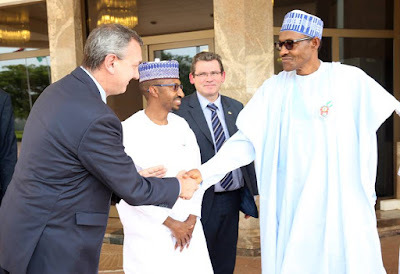 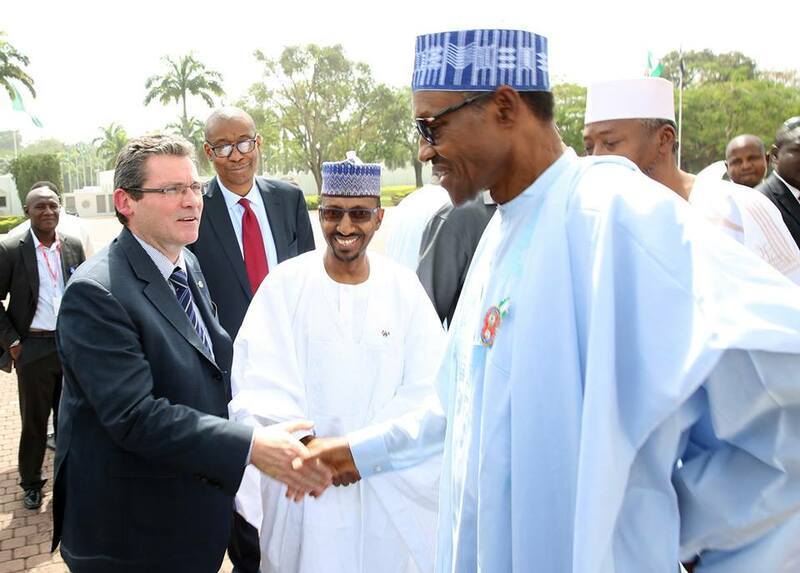 President Muhammadu Buhari, hosted the Executive Vice President, Middle East and Africa, Peugeot Citreon, Jean-Christophe Quemard, at the presidential villa today. 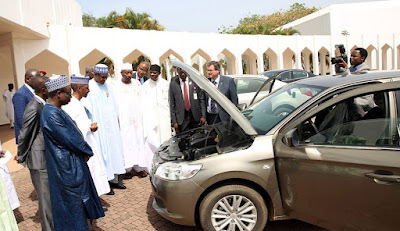 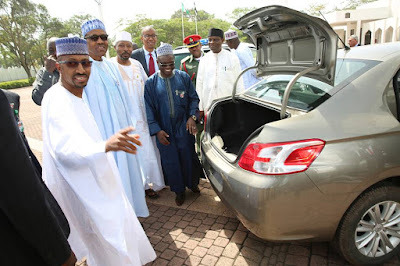 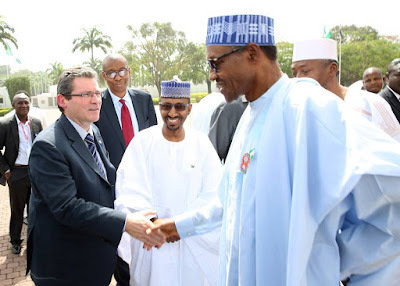 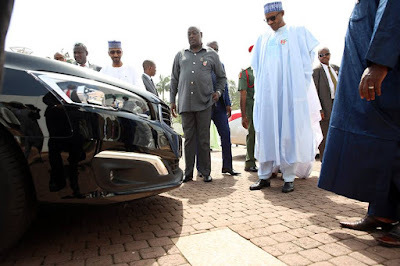 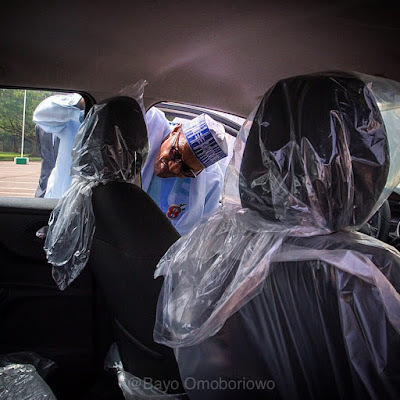 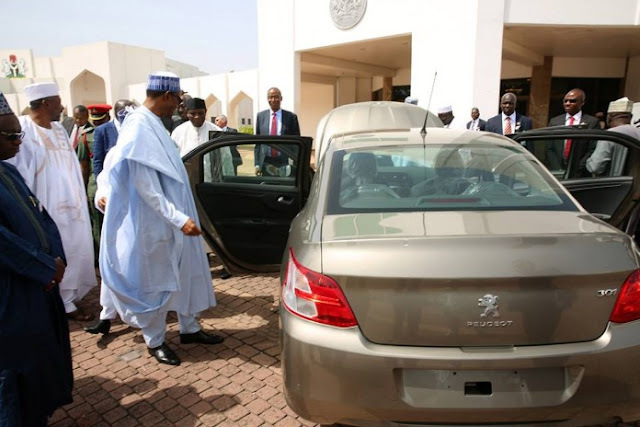 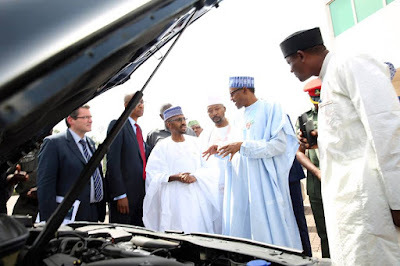 During the visit, Buhari got to inspect the Made In Nigeria Peugeot cars brought all along. 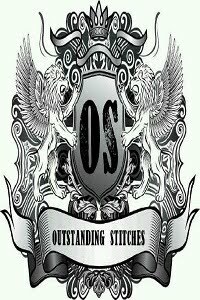 Continue to see more pics below..